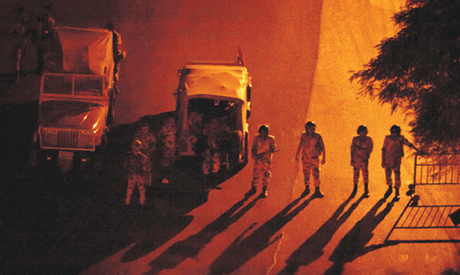 A nighttime curfew imposed in Cairo and 13 other governorates might remain in place despite a planned end to the state of emergency in mid-November, an official source has told Al-Ahram Arabic news website. A cabinet media advisor said on Tuesday that the state of emergency, in force since mid-August, would probably end next month as it can only be extended after a three-month period via a national referendum, according to a temporary charter adopted by interim president Adly Mansour. Egypt's interim authorities extended the exceptional measure in September by two months amid the country's deepening security crisis. The source, who spoke on condition of anonymity, said the decision to lift the curfew was in the hands of security officials and the defence ministry. The curfew was imposed on 14 August after security forces raided two Cairo protest camps set up by supporters of deposed president Mohamed Morsi, leaving hundreds dead and sparking days of bloody street violence. Egypt has gradually relaxed the curfew which is now from midnight until 5am except on Fridays – traditionally the busiest day of protests – when it begins at 7pm.